Rats and mice can use very small holes and cracks to gain access to your home. When you watch this video, you will take a look as an exterminator patches up a rodent entry point using mesh. To secure the entry point, you will need to select a size of mesh that will not allow rodents to pass through. A company that offers rodent removal in Pleasanton can help you to make sure that your home is completely secured against rats and mice. To prevent a rodent infestation in your home this winter, now is a great time to hire an exterminator to perform rodent proofing services around your property. By taking the time to block potential access areas, you can rest assured that rats and mice are not taking shelter in your home. When you are in need of rat and mouse removal for your home in Pleasanton, you will want to make sure that you hire a team of experienced and knowledgeable mouse extermination professionals. At Premier Rodent , we proudly serve our local area with effective rodent removal services that achieve guaranteed results. Before you book your first appointment, you may have questions about what to expect from your treatment. Here are answers to some of the most commonly asked questions about our rodent removal services. How do I create a rodent removal plan? In order to effectively target rodents in your home, you will need a comprehensive treatment plan. This plan should be created by a licensed exterminator. At Premier Rodent, our team will perform a thorough inspection of your home, prior to creating your plan. After your property’s problem areas have been identified, we will know which parts of your home that we will need to target in order to eliminate your rodent problem for good. Do I need to prepare my home for the service? With your removal plan in place, you will be ready to start the rodent treatment process. Before your exterminators arrive at your home, it will be necessary for you to prepare your home for the appointment. For instance, your exterminators may ask you to clean out the areas underneath your bathroom and kitchen sinks. It is also helpful to ensure that your home is as tidy as possible prior to the appointment. How do I prevent rodents from coming back to my home? After the Premier Rodent team has successfully completed your rodent removal, you can rest assured that your property is free from rats or mice. In order to keep these bothersome pests from returning in the future, however, you will need to take certain steps to protect your home. With our help, you can seal up access points that rats and mice may use to access your indoor spaces. We can also set you up with a seasonal treatment plan that eliminates rodents before they get out of hand. If you have found evidence of rats, or recently resolved a rat infestation in your home, then it is crucial to your health and safety to rat-proof your home. Effective and professional rat control near Pleasanton, CA is the best way to prevent a future rat infestation from ruining your home and harming your health. Continue reading for some steps to take when rat-proofing your home. As you can see in the video, rat-proofing should consist of sealing all food containers and removing old food and waste from your home and yard. Rats are attracted to any kind of food, including pet food, so it is essential to keep this covered. You can also seal any cracks or holes around the interior and exterior of your home with steel mesh. Call your local rat exterminator to inspect your home and set up more rat-proofing techniques. The need for mouse removal is a common reason why people call exterminators near Pleasanton, CA. Have you seen a mouse in your house? If so, then watch this video to learn about why mice are so common and what to do about this pest. The house mouse breeds at a rapid rate and is highly adaptable to changes in its environment. Female house mice can give birth to 6 young every 3 weeks and can produce as many as 35 babies each year. If you’ve seen a mouse in your house, then there is a good chance that there are more of them. For this reason, you could benefit from calling a rodent removal company about mice extermination. A rat infestation can be alarming, damaging, and even harmful for your health. The sooner you call your exterminator for rat removal in Pleasanton, CA, the sooner you can enjoy a safe, comfortable, and sanitary household once again. Before you call for rat removal you might experience damage to certain materials in your home and contamination of both human and pet food, and the problem only stands to get worse if you don’t call your professional exterminator. Continue ahead and take a look at these reasons not to ignore a potential rat infestation. Rats do not tend to be the best house guests, which is one of countless reasons why they’re not invited inside. These rodents have an instinct to chew and are constantly sharpening their teeth. Unfortunately for you as a homeowner, they practice little discrimination when choosing their sharpening blocks. Rats may chew through the wires of your electronics, cardboard materials, and even plastic bins and containers. The only way to effectively rid yourself of the rat infestation and limit the damage that is done is to call your exterminator for rat removal as soon as you notice the problem. 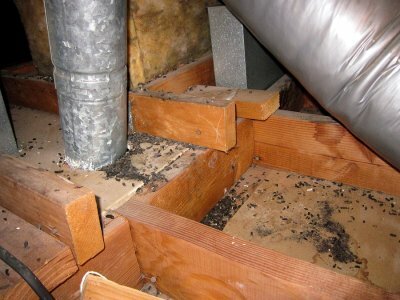 Perhaps even more important than the damage rodents can do to your home is the contamination that they can bring inside. 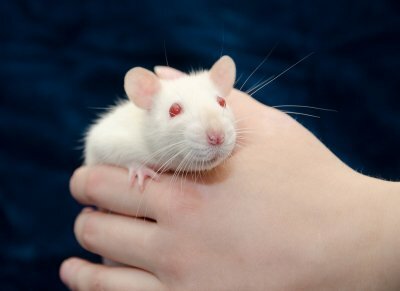 Rats can spread disease in a few different ways, from direct contact with their bodies to the remnants of feces or urine that they leave behind. They can contaminate human food as well as pet food and spread serious diseases such as Hantavirus Pulmonary Syndrome. The longer it takes you to acknowledge the problem and seek rat removal, the more vulnerable you leave yourself to damage and sickness. 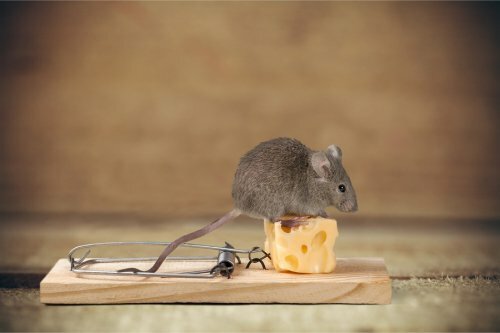 Failing to call for mice extermination will suggest to these rodents that they have found a safe place to stay, and this will only make the infestation worse. Make sure you waste no time in calling your exterminator when you notice your first signs of an infestation so that you can have it cleared out quickly and effectively. The fall season is in full swing, and as temperatures drop, more and more rodents will be looking to find a way indoors. 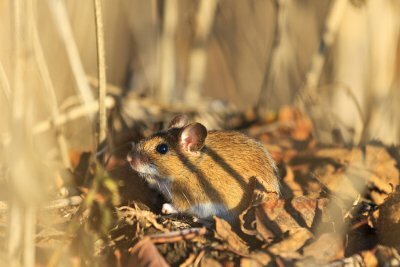 In order to achieve total mouse control on your property, it is essential to make sure that these furry pests cannot enter your home from the outside. 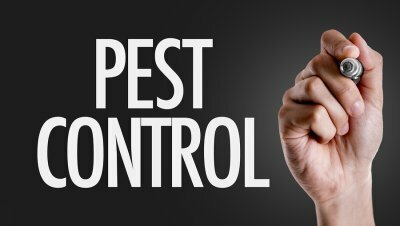 During a mouse proofing appointment from a company that offers rodent control in Pleasanton , your technician will identify and seal any areas that may be vulnerable to a pest invasion. To help you make sure that you are not faced with a rodent control emergency this fall, here is a look at some of the most common household entry points for rodents. When a mouse is attempting to enter your home, it will be looking for tiny cracks or crevices that can serve as access points. Even homes with very sturdy foundations and materials may have tiny cracks located throughout their structures. If your exterminator finds gaps between your building materials, he will need to seal these openings to prevent rodents from coming inside. Your household appliances, such as your dryer and washing machine, typically require utility lines that connect them to the exterior of the home. In the event that these utility lines are not properly sealed, your home could be at risk of becoming invaded by rodents. Rodents that find their way into HVAC ducts and other interior systems can also easily access the interior spaces of your home. During a pest inspection, your technician will likely examine the condition of your window and door frames. Window and door frames that are not tightly sealed could provide the perfect entry point for an invading rodent. Since rodents can squeeze through cracks that are only a fraction of an inch in size, even the smallest gap between a door and its frame could invite rats and mice indoors.